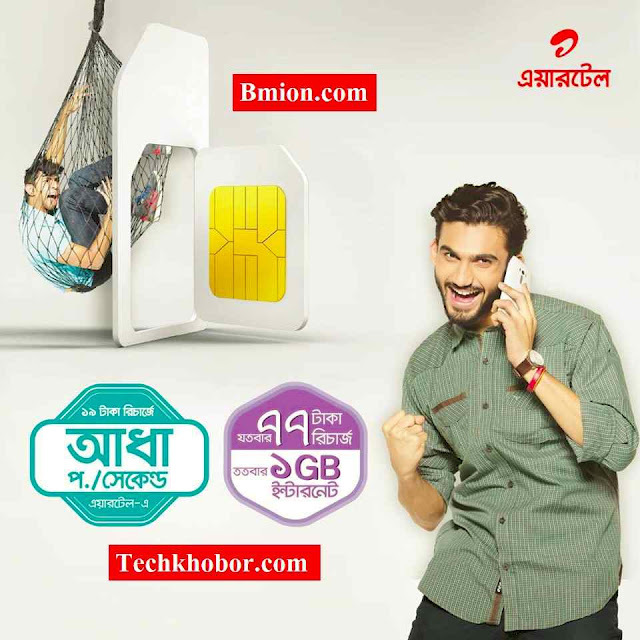 Uncategories airtel New Prepaid SIM Connection Offer "Archive"
airtel New Prepaid SIM Connection Offer "Archive"
Activation bonus will be enjoyable within 24 hours. Particulars not mentioned (SMS: BDT 0.39; International SMS: BDT 2.49) will be generalized for Prepaid. Rates are without VAT, SD, and Surcharge. 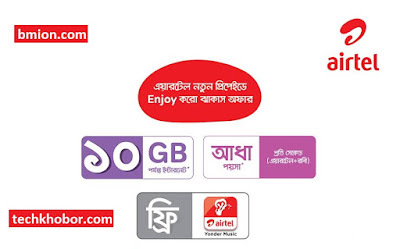 30 days cycle will start from 1st 38tk recharge date for all 2GB/19tk, 1GB/51tk and Special Call Rates. Daily 250MB 3G limit FUP applicable. 89 taka usage is only applicable on Voice, Data, SMS, MMS. Not on bundle/VAS/data pack purchase. Rates/particulars mentioned will be changed subject to regulatory/business decisions. * Daily FUP limit 500 MB. Users can browse at 128 KBPS after reaching daily FUP limit. Regular speed will resume at 00:00 hours of next calendar day. Lifetime Validity 1Paisa/Sec Any number Callrates! -BDT 10 pre-loaded amount in main account for any purpose usage with 90 days validity. -100 SMS to any operator with 90 days validity.